Do you have a passion for filming and capturing unique images on camera? Do you see life and beauty in things that many don’t see? Do you watch movies and think that scene could have looked so much better? Are you looking for an exciting career that will have you traveling to exotic locations? Do you have a knack for bringing life and emotion into film and images? 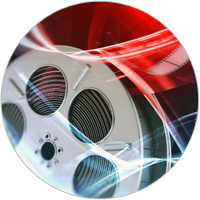 The greatest script, the best actors, a well-financed film still needs a talented cinematographer who can capture the emotion visually through the camera and bring the film to life! “Cine” lenses and “Still” lenses- Whats the Difference? “Breaking the Line” What is this and why is this important? Talking to the Director- what’s the shot? 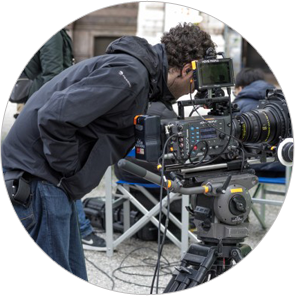 Matt Wightman is a Florida based Director of Photography with more than 15 years experience working on commercials, feature films, and television programs. He graduated from Full Sail University in 2001 with a degree in Motion Picture and Television Production. Matt spent almost 7 years at Home Shopping Networkworking his way up the ranks to Director of Photography. He worked with celebrities such as Serena Williams, Bob Villa, Fran Dresher, Tori Spelling and more. In 2009 Matt began his freelance career where he continued to work on commercials as well as sports and entertainment programming. He has lensed shows for Discovery I.D, Fox Sports, TvONE, Fox Business Network as well as Commercials for clients such as Humira, Gatorade, and Samsung.